Despite a few promising individual performances, the Styleness Waratahs struggled on Saturday in conditions still suffering the hangover from Sydney’s recent inundation. Some tougher pitches and slow outfields made scoring difficult especially in the early sessions, as 1st and 2nd grade managed scores of 182 and 185 respectively. 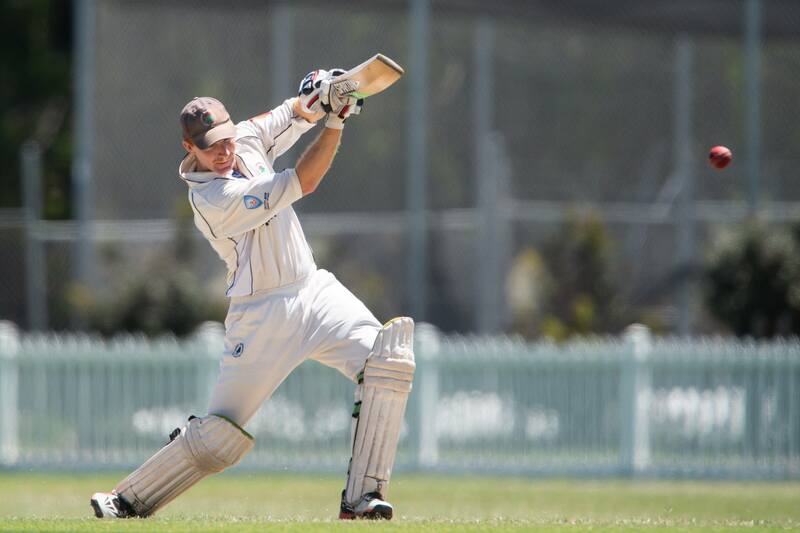 A vital half-century to Joel Foster (61) and 48 to Jay Lenton helped get first grade there before a strong opening partnership saw UNSW in a good position for next week. 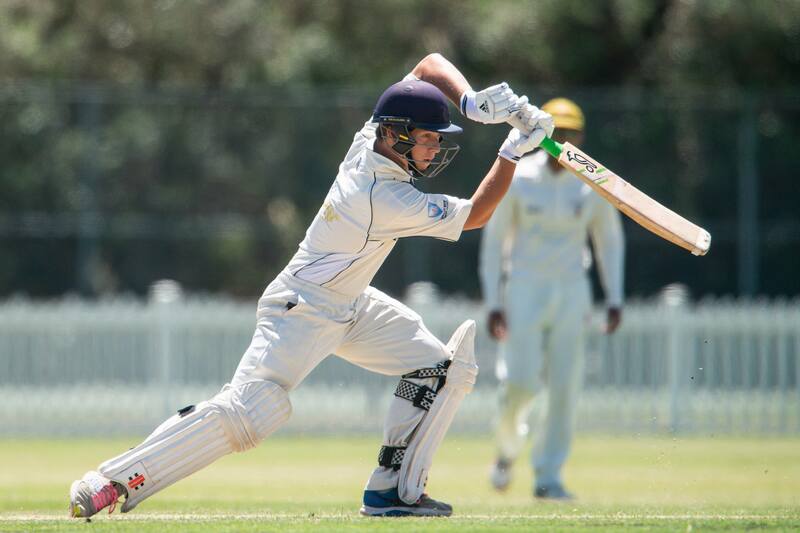 Vital 40s to Ash Virdi (45) and Elliot Herd (41) showed promise in 2nd grade, but it was some excellent rear-guard action spearheaded by Andrew Jamieson (47) and that saw them reach a competitive 185. With UNSW still needing over 100 and seven wickets to play with, next week promises to be a tight contest. Led by a gutsy Isaiah Vumbucca (5-100 off 33 overs) and skipper Nick McLachlan, 3rd grade contained a strong UNSW batting line-up to 9-228 at the close of play. 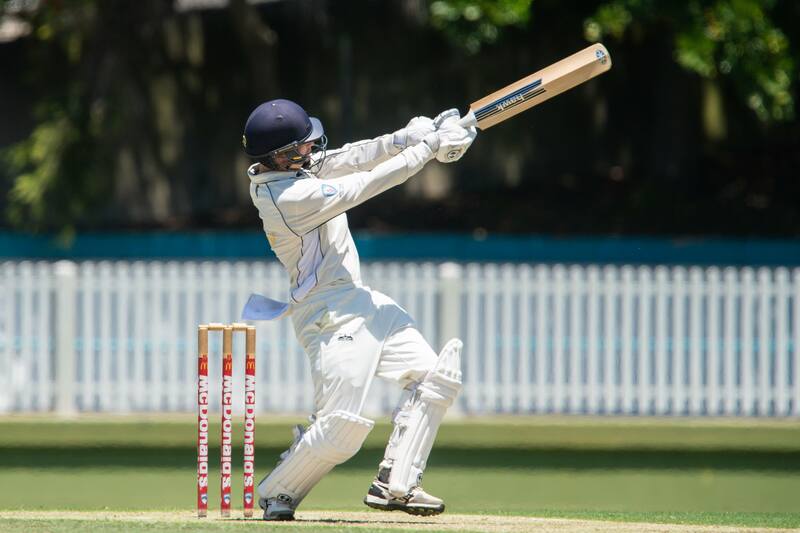 4th Grade fought hard to be all out for 165 at the close of play on a deck that was slow even by Grahams’ standards while 5th Grade had a rather forgettable day in the field as UNSW piled on 348 for the loss of 9 wickets. Despite Jack Hobson (4-57) and Josh Seward (1-28) making some inroads, 5s have a tough battle ahead of them next week. 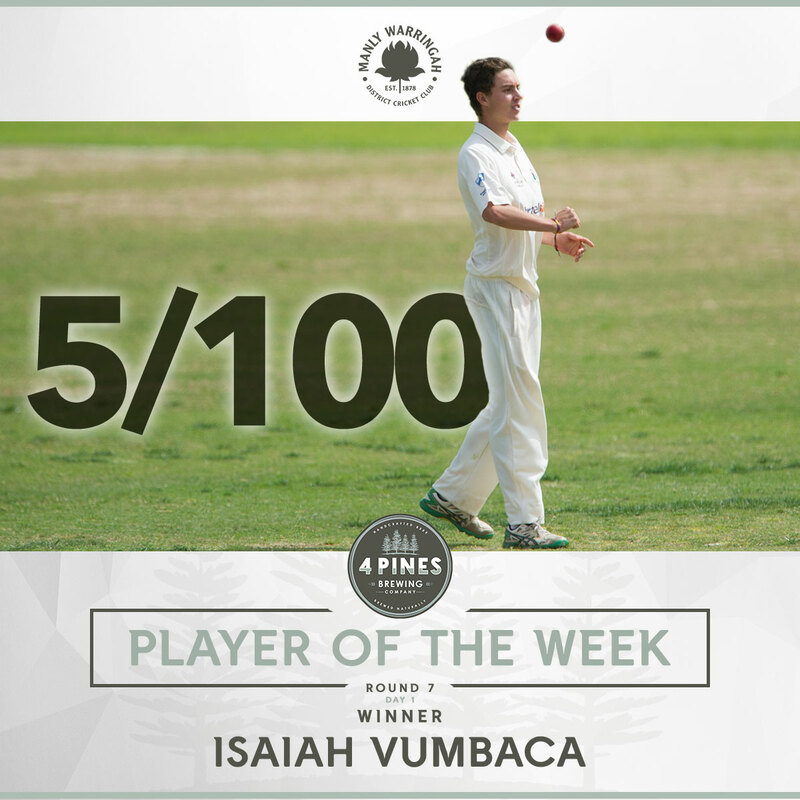 This weeks’ 4 Pines Player of the week is Isaiah Vumbucca who played a crucial role helping 3rd grade contain a dynamic UNSW batting line-up. Issy has been a crucial player for the Tahs PGs and 2nd grade sides this season, with his performance this week showing just what he is capable of. A whole-hearted team man, what Issy contributes in energy and enthusiasm makes him an enormous asset in any side he plays in. This was on show again on Saturday when, in addition to bowling a mammoth 33 overs, he completed a vital unassisted run out at an important moment in the game. His efforts undoubtedly proved the difference that kept the Student’s to 229 rather than a 300+ total. Keep up the great work Issy! We batted first on a very tacky Village Green pitch and we knew it was going to be a tough first few hours before it flattened out after tea. We got off to a poor start losing Logan first over and then Ryan a few overs later. Ollie came and went for 19 before Jay and Joel set up a nice little partnership. Both of them batted with determination and grit, seeing us to lunch around with us around 3-90. After lunch the two got us to 3-124 before we lost Jay for 48. 2 more quick wickets then fell to leave us 6-140. Foz continued to persevere during this period before he fell for a well made 61. The last 3 wickets fell quite cheaply and we were all out for 180. With 14 overs left in the day to bowl, we knew we had to nail these in order to be in the contest next week. Unfortunately we lacked consistency and overall were very disappointed with how we bowled. UNSW finished on 0-54 in reply to our 180. With 130 runs to play with next week we have our work cut out for us. We know what we need to work on during the week, and we have a few of the state boys back in to strengthen the bowling stocks, so there’s no reason we can’t give it a red hot crack next week. 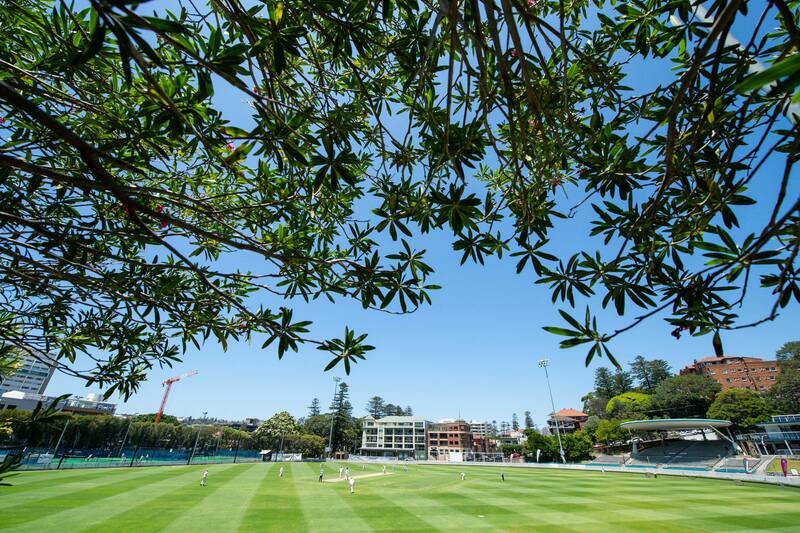 The 2nd grade side arrived at Manly Oval on what was a picture-perfect first day of summer. The wicket looked like it would provide some assistance to the bowlers and when Sam Gainsford tossed the coin, the UNSW Captain had no hesitation in asking us to bat first. As has been the case for much of the season, the side struggled in the first hour, losing opener Ned Hole in the first over of the day. Sam Webber joined his captain at the crease and the two set about trying to build a partnership. Both players negotiated the challenging conditions well for the next 10 overs or so and just when it looked like they were getting on top of the bowlers, we lost both batsmen in quick succession. 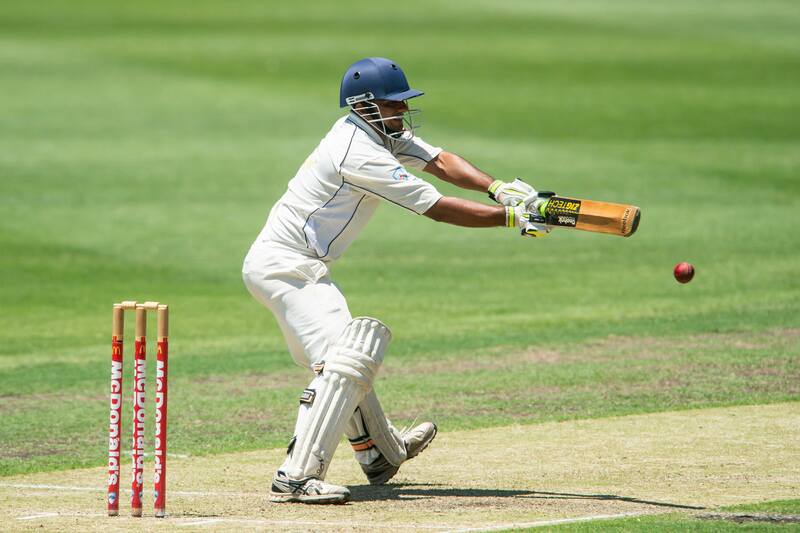 This brought the ever-consistent Ash Virdi and New Zealand import Elliot Herd to the crease. The pair dug deep and started to put the pressure back on the UNSW bowlers. Both players were able to show their experience, manipulating the field and putting away the loose ball. Herd was particularly brutal of anything short. A positive last 20 minutes left us in a solid position with the score at 3/91 at lunch. The resumption of play saw us lose another two wickets in quick succession (Herd for a run a ball 41) and 2nd grade debutant (Zach Trewartha who unfortunately fell for a golden duck) Loosing wickets in pairs has been the achilles heal of the 2nd grade side all year and I’m sure it’s something both the captain and coaching staff must be frustrated watching. Ash Virdi continued to fight hard with support from his new partner Jacob O’Sullivan. Virdi has an uncanny ability to hit the ball to strange parts of the ground and again looked set to post a big score before he was out caught behind for a well made 45. O’Sullivan was joined by Jamieson and the two added 40 odd in a solid partnership, taking the score to 6-160 when conditions looked to have got a little easier and a 250 plus score was on the cards. When O’Sullivan fell, Jamieson looked to up the scoring rate, putting some pressure back on the UNSW bowlers. After a couple of clean strikes the Manly innings came to a quick halt with Jamieson out for a vital 47 and the tail offering little more resistance. With only 185 on the board, the home side would need to start well. UNSW started their run chase in a positive manner, in conditions that were much kinder to the batsmen than they had been earlier in the day. 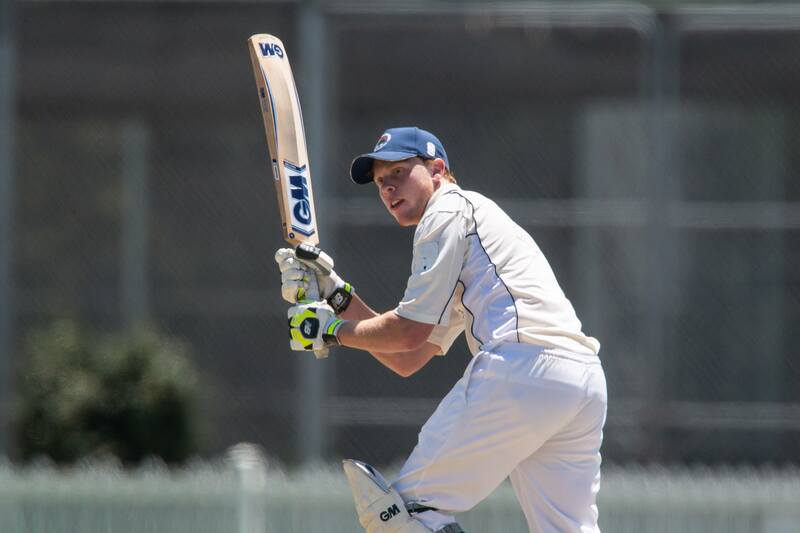 Ryan Bishop-Perrett, Herd and Jamieson all picked up a wicket each which left the visitors at 3-83 at stumps. The Manly boys will need to bowl extremely well next week if they are any hope of taking the 6 points. After battling some serious Mosman traffic on the long drive out to Daceyville, third grade found ourselves assessing what looked like a very good batting wicket, complete with very small boundaries. With the sun shining and barely a cloud in the sky, it looked like a great day for cricket. After winning the toss, UNSW predictably sent us into the field. The day started positively, with Nickos and Jesse opening up and getting some variable bounce and good movement early on. After toiling away for a number of overs, Jesse managed to grab the first wicket thanks to a sharp catch by Dom in the slips. Izzy and Sommers then came on and bowled the house down – Sommers barely put a foot wrong and practically brought the scoring to a halt, allowing Izzy to pick up the second wicket after the batsmen was completely bamboozled by his change of spin (from leg breaks to offies) and was caught on the fence. Alex Bain then came on and was magnificent – at one point bowling 5 maidens in a row, to again pile pressure on the UNSW batsmen. Unable to get a run off Bain, the batsmen looked to score against Izzy, who picked up another couple of wickets before tea. Special mention must go to Alec Duly who took two great catches under a swirling high ball. Unfortunately we let our standards slip a little after tea, and for about 10 overs UNSW started to get on top, hitting boundaries with relative ease. However, Isaiah continued to just kept bowling, and bowling, and bowling, before getting a direct hit run out that changed the course of the innings. From that moment, UNSW went back into their shell and struggled to score freely, with Nickos returning to the crease and picking up 2 quick wickets before the end of the day. A huge shout out must go to Izzy, who ended the day with a mammoth 33 overs bowled to record figures of 5-100. With UNSW ending the day at 9-222, third grade know they have to come out firing next week to get the final wicket before putting in a big performance with the bat to get the 6 points. It was a great day in Manly against UNSW, but not such a good start for Aidan Bennet as he suffered a dislocated knee cap whilst playing touch footy. Gumms won the toss and elected to bat on a flat Graham’s deck. Davies and Gummer opened up, lasting approximately 10 overs before Davies departed for 5, bringing Charles to the crease. He and Gumms put on a solid partnership of 48 before Charles was brought undone on 27. Gumms went shortly after for 31 leaving the two new batsman Starr and Osborne at the crease with a few overs till tea. They fought hard and played some sensible cricket to make it to tea with no further loss of wicket. Starr looked good for a solid 13 before he and Osborne fell shortly after tea for a gutsy 32. Barnett fell later for 13 bringing the veteran Wazza to the crease before he was bowled for 6. Dunlop made is way to the middle for a handy 10 and Falcs scored a timely 12 after hitting a huge bomb towards the nets. Jordy and Cliffy added a few helpful runs to end the day until Jordy was dismissed leaving Cliffy stranded at 166 at stumps. A decent total to defend on a low slow deck next week. The 5s boys headed to face a strong UNSW side, fresh off the back of a couple of wins on the trot. 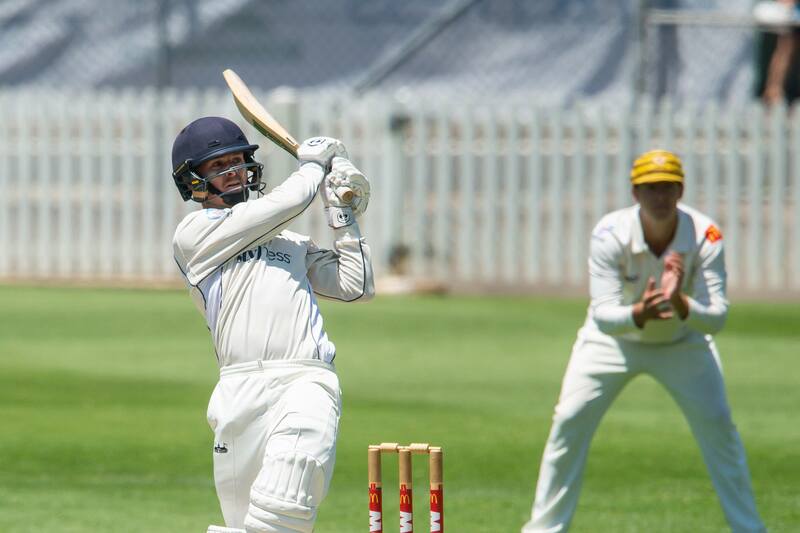 With a new look side featuring debutants Ollie Melville and James Buchanan, and the long-awaited returns of the great Andrew Rochford and John Warne, the boys were ready to rip in. After losing the toss and being sent into the field on a flat David Phillips deck the UNSW openers got off to a shaky but quick start and got the score to 0-50 when ‘The Doc’ Andrew Rochford snicked off the opener to have his first wicket in 15 years for the club. He then went bang-bang to have 3fa in no time and UNSW struggling a bit at 3-90. Unfortunately the screws came off a little bit from here and the wickets for few and far between. UNSW batted patiently and solidly all day and barely gave a chance. The Manly boys then had a mini fightback picking up 2 wickets in no time to have the hosts at 6-210 and a chance of skittling through them and possibly even having a little stick at the end of the day. It was not to be as the Uni number 8, along with the number 4, who scored 103 and batted the majority of the day, to leave them 9-348 at the end of a long day. 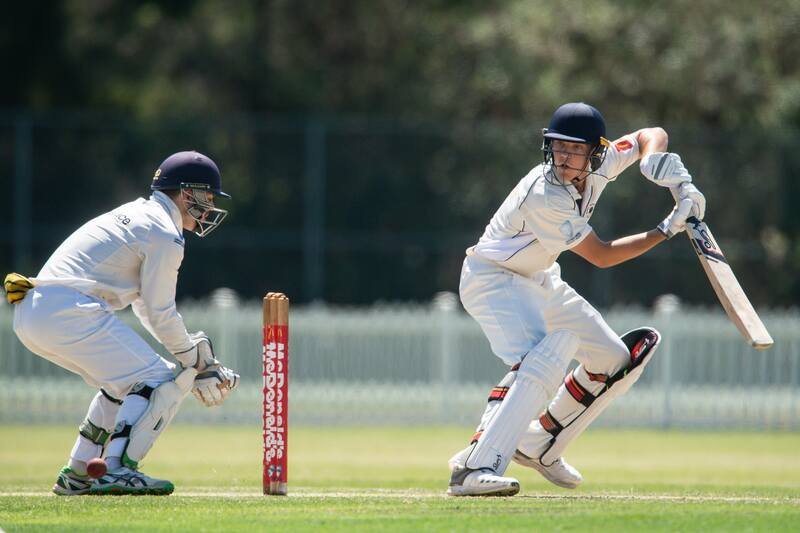 Jack Hobson was the pick of the bowlers with 4-57 off his 12, and the rest of the bowlers toiled extremely hard on a deck that wasn’t offering much. Hopefully the boys can knuckle down this week and bat all day to pull off what would be a great win! 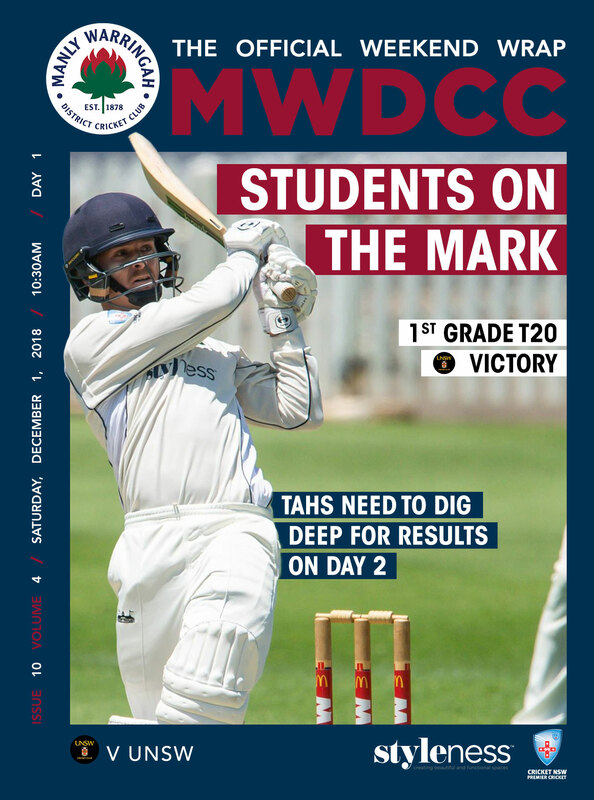 The first game of the season for the U18 Brewer Shield girls was a home game at the beautiful Manly Oval, playing the experienced Northern District Blues. Manly lost the toss and fielded first. The girls looked sharp in the field from the start. Gemma Lacey and Chelsea McLerie opened the bowling against a very good Northern District opening combination. The openers got off to a bit of a flyer taking the score on to 46 before Robyn Medley came on and got a wicket on her 2nd ball, a nice caught behind from Nat Guyot. Some tight bowling saw wickets then continually fall, with Chloe Osborne picking up 2 and Kate Salmon, Jess Mulcahy, Sienna James and Mia Waddington all picking up wickets. The fielding was good all the way through the innings, with very sharp catches to Gemma, Mia Nel and Jess, and Hannah Woolf also catching a nice one behind the stumps. The Manly girls were quietly confident of chasing 148 to win off 40 overs with a strong batting line up. Unfortunately, the girls could not put on a solid partnership throughout the innings. Nat fell early on to a running mishap for 3, and Jess was bowled by a great ball for 6. Robyn and Chloe looked to steady the ship, but Robyn fell for 12 with the score on 33. ND Blues bowled with great discipline and despite some stubborn batting from Kate, Mia N, Mia W, and a top score from Chloe of 14, the girls were all out for 71 in the 29th over. A tough first hit-out, but with the squad brimming with talent and the girls keen to continue to improve and gel as a team, there will be better results to come. After a tough day yesterday, 1st grade were back at Village Green looking to grab some momentum into next week. We had some big additions into the side in the form of Mickey, Hadley, Nappa and AB, who all didn’t play the Saturday fixture. Bowling first, we started exceptionally. Joey kicked us off with a wicket maiden, before going on to bowl 4 straight overs 2-13. He was backed up well at the start by Mickey and Hadley as UNSW fell to 3-16. We bowled very tight through the middle overs and at the death, small little partnerships here and there kept the score ticking over for UNSW. They finished 6-146 off their 20 overs, a great performance from all of the bowlers on a good pitch and quick outfield. From the get-go we were on top with the chase. Logan and Jay got off to a quick start in the first powerplay and we cruised through the middle overs. Logan was dismissed for 59 (45 balls) with the score at 90. We got a little bogged down in overs 13-17, AB fell soon after Logan for 4 and we needed 30 off the last 20 balls. Jay (62 off 57 balls) was the mainstay of the innings and batted beautifully. He and Ryan (17 off 9 balls) finished the game off for us, hitting two consecutive boundaries with only four balls to spare.